Leengate Valves� capabilities to supply the offshore and marine market have seen a keen rise over the past few years. 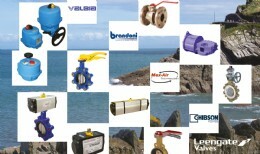 As a result of exclusivity to distribute selected brands, their most recent product catalogue showed the addition of aluminium bronze body butterfly valves for wholesale distribution to the UK and it�s clear the objective of the Leengate team to increase their supply and service to this area is gathering pace. The aluminium bronze additions are manufactured by Ghibson; a solid, reliable brand within the offshore/marine valve industry. These new additions to the Leengate range are wafer pattern to suit PN10, PN16 or ANSI 150 flanging and offer a fully aluminium bronze construction and NBR liner; excellent for the processing of seawater in salt air environments. As well as offering suitable aluminium butterfly valves, Leengate also have a good supply of bronze and aluminium bronze ball valves, flanged to PN16 and ANSI 150, and actuation solutions that can satisfy a variety of demanding offshore environments with great efficiency. In addition to their standard valves, Leengate Valves� well equipped actuation centre can offer automated solutions for many different processes. With a range of supply from Max-Air and Valbia, including an exhaustive selection of materials and coatings, Leengate Valves� team are always keen to supply an efficient solution for its customers. Material and coating options include, among others, glass reinforced polypropylene pneumatic actuators, technopolymer electric actuators, electroless nickel infused aluminium and polyamide epoxy coatings - which are known to be a particularly good at resisting corrosion from salt air. �A strong relationship with manufacturing partners in Europe has proven vital to our intensified efforts in the marine and offshore market. 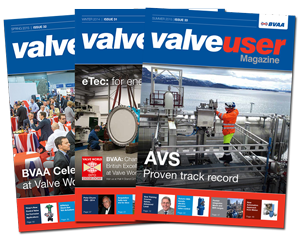 Customers are benefiting from decades of networking and an environment that offers good availability of products, quick delivery times and an all-around reliable supply flow,� said Arran Macalister, Engineering and Actuation Manager at Leengate Valves. You can speak to a member of Leengate Valves� team by calling (0044) 1773 521 555 or emailing info@leengatevalves.co.uk.